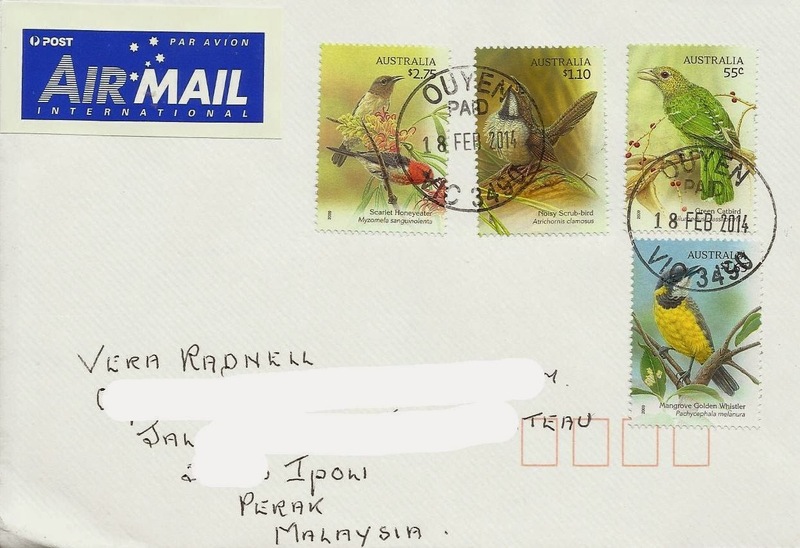 What a thrill it was to receive the full set of beautiful Australian songbirds 2009 set on cover recently. Clearly postmarked from Ouyen in Victoria. I've seen all these birds in various locations in Australia and know their calls. I am surprised the Green catbird was included as their call is more like a cat with a sore throat than a song.